I finished this book last Wednesday, and OMG!!! I can’t get this story out of my head. I love it so much. 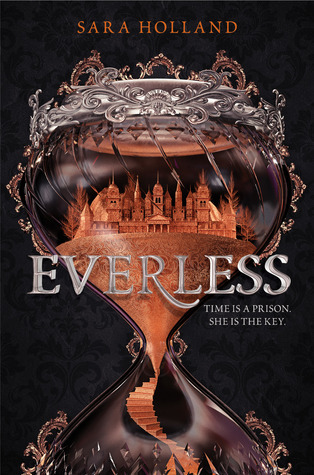 I CAN’T WAIT UNTIL THE SECOND BOOK OMG SOMEONE PLEASE GIVE ME DETAILS ABOUT IT I’M DYING OVER HERE!!!!!!!!!!! There are a lot of characters, but that doesn’t make it confusing. Jules was an awesome character. She was strong, confident, and strong willed sometimes to her disadvantage. However I don’t think this takes away from her, it just adds to it. I can’t wait to see what becomes of Ina in the second book! We don’t see much development of her character, but toward the end of the book we get to understand more of who she is. I want to know more. I also want to know how Caro develops too. I like the way Holland left them at the end of the book, but I’m excited for the direction she may take them in. Something that confused me a little bit was the whole concept of blood = time and how it worked within the world. I wasn’t sure how the whole system worked, but I feel that it worked itself out as the book went on. I wish there was a more articulate way to express my exact confusion, but this will have to do. The fairy tale elements within the book worked well. I like the different fragments that were included and how Holland created it. This isn’t a huge part of the story, but it gives a lot of back story and is one of the key details. Overall I highly recommend this one. This gave me a lot of Red Queen and Strange the Dreamer vibes so if any of those are what you’re into, you may like this one! Let’s talk about the last book by one of my all-time favorite authors. Jenny Han is a freaking goddess, and I had the pleasure of meeting her this past May when her book released. It was a phenomenal experience that I will never forget. If you haven’t read the first two books in this series, I’m going to redirect you to my review of those right here. This will be spoiler free of the third book, but I can’t review this without making references to the previous two in the series. I read this right at the tail end of my own senior year of high school, and all of the stress that Lara Jean goes through I had just been through. It was like reading about my own college application process from afar, which was a bit weird and meta. One thing that irks me with books is that they still include paper applications in their application process. This isn’t very realistic because most, if not all, applications are done online now. There are no longer paper applications that you have to reach out to certain schools to request that I’m aware of. That small complaint aside, the emotions are all the same. The stress, the worry, the panic — it’s all the same whether you’re applying on paper or digitally. 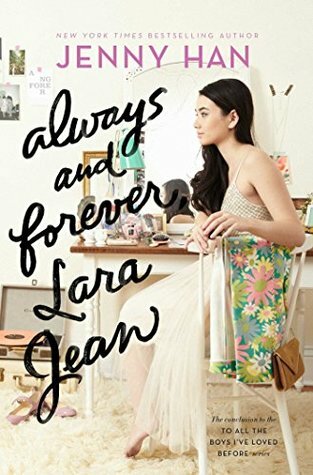 Han captures the thoughts and feelings of the application process well, and I’m sad to have a conclusion for Lara Jean and the gang. Hi there! I hope you’re doing well this holiday season. I’m so excited to share this book with you. Mary Weber is the multiple-award-winning author of the bestselling young adult Storm Siren Trilogy, and The Evaporation of Sofi Snow series (all by HarperCollins). An avid high school, middle school, and conference speaker, Mary’s passion is helping others find their voice amid a world that often feels too loud. When she’s not plotting adventures involving tough girls who frequently take over the world, Mary sings 80’s hairband songs to her three muggle children, and ogles her husband who looks strikingly like Wolverine. They live in California which is perfect for stalking L.A. bands, Comic-Con, and the ocean. Mary’s debut, Storm Siren, was featured in the Scholastic School Book Fairs, and her novels have been endorsed by bestselling authors Marissa Meyer, Jay Asher, Wendy Higgins, CJ Redwine, and Jonathan Maberry. She gets nerdy at @maryweber.com, FACEBOOK @MaryWeberAuthor, INSTAGRAM @MaryWeberAuthor, TWITTER @mchristineweber, and GOODREADS. Come say hi!! This was an interesting read. It’s told in alternative perspectives, and I liked both narrators. Miguel and Sofi (NAME TWINS) were generally good story tellers, but I preferred Sofi to Miguel. Something that I liked most was the development of the Delonese and their relationship with Earth. It was an interesting dynamic of one where a planet (somewhat) peacefully while advancing Earth technologically and environmentally (wrt climate change and global warming — it’s an ice planet). A main focus of the book is the sibling relationship between Sofi and Shilo. I absolutely loved it, and as someone with 4 siblings, it reminded me a lot of my own. It was great to see that this was at the forefront of Sofi’s mind and her main motivation — not a love interest. This made the book refreshing and even more relatable. Miguel is bilingual and I love the way it’s portrayed through his perspective. It gives you a look into what it’s like to think in two languages. I don’t have much personal experience with it (I am somewhat conversational in Spanish), but I felt that I could understand someone who does. It isn’t something that is often seen in novels in general, and I think the way Weber did it was very well done. Let’s just say the ending was out of left field! I can’t wait for the second book!!! Hi guys! How is your holiday season going for you so far? I’ve been focusing on finals and then I can really get into the holiday spirit. I can’t wait to go home and be with my family and my cats 🙂 Today I’m here to talk about a cute contemporary that’s perfect for the holidays! 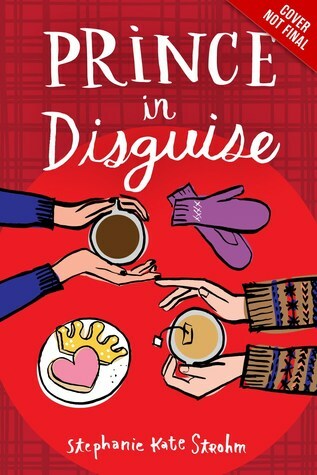 This book was like watching a Hallmark movie, but better because it was significantly less cheesy and still gave you the same gooey feelings. I thoroughly enjoyed the characters and the plot twists within it. Dylan is such a fun character. Her distrust of TRC affects her relationship with her sister greatly, but you see that no matter what she will stick her neck out for family. Her loyalty is something that is hard to come by, but once you have it she will defend you to the death. The story was interesting and unique. The only book I can think of that is also about reality T. V. is Royce Rolls by Magaret Stohl, but that has a very different tone. It was smart and the literary references were sprinkled throughout which made me really happy to see. It didn’t feel forced, and everything was well placed. I liked the plot twists in this book. They moved the story forward and weren’t too trite. I predicted something different would happen with Jamie than what actually happened, but I’m glad I was wrong. All in all, I highly recommend this one for your winter reading list!